It’s too early to call it a crisis, but it would be safe to say that all is not well at Manchester United. Thursday’s 2-1 defeat to Fenerbahce in the UEFA Europa League is their fifth defeat this season. Under Louis van Gaal, United lost 15 times in all competitions last term, with Jose Mourinho currently on course to beat the Dutchman in at least one category. In an ideal world, the £157 million that The Special One spent this summer would be enough for Old Trafford to once again witness a team capable of dominating English football, but we don’t live in that utopia. Manchester United will be linked with various players going into the January transfer window, that’s a situation we can’t avoid. Some fans believe the current squad is good enough to play their way out of trouble, but others think a centre-back, right-back, and defensive minded midfielder could certainly improve their fortunes. If feeling flush, and if either Memphis Depay or Henrikh Mkhitaryan move on in the winter, the Red Devils could even add a right-winger. Rather than rely on rumours and speculation, let’s look at five realistic options Mourinho could look at to turn their season around. A key part of Portugal’s 2016 European Championship win, Jose Fonte’s stock as a centre-back has continued to rise in recent years. Gone are the days of Paolo Maldini, Rio & Vidic or even John Terry in his prime. World class central defenders are thin on the ground, even thinner in the air. The Southampton man was heavily linked in the summer, with a proposed move scuppered at the last minute. Regardless of how well Claude Puel is doing at St Mary’s it’s unlikely the Portuguese defender will fulfil those goals at the Saints. On average he wins 2.4 aerial challenges per game, makes 2 interceptions and an impressive 5.9 clearances in the Premier League. Chris Smalling, the bigger of their two current defenders, wins 2.6 headers, 0.7 interceptions and 5.7 clearances. The former Fulham man makes just 0.7 tackles a game, which is a great sign of a player that knows his position and it not scrambling around to recover. Eric Bailly on the other hand, makes 2.3 tackles per game, Jose Fonte is somewhere around the middle at 1.4. Daley Blind, Marcos Rojo and Phil Jones are unlikely to ever be at a level that United and Mourinho need. Fonte although 32 years old, is experienced in the Premier League, has international ability and would have a calming effect on the often error-prone back line. 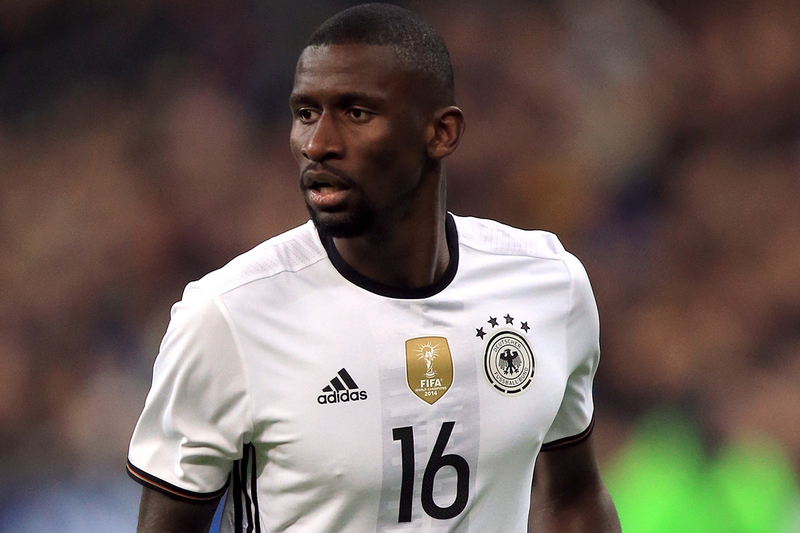 Another option in that department and also someone who could play at right-back, giving the team a more defensive look is AS Roma’s Antonio Rüdiger. Just back from injury after missing out on the Euros, he has played twice in Serie A, but it’s his performances last season that caught the eye of Europe’s biggest names. At first he looks to have very similar traits to that of Bailly. The German international is strong and quick along the ground. Eager to anticipate danger, he will look to intercept but when he gets it wrong he has the pace to sprint back and recover possession. 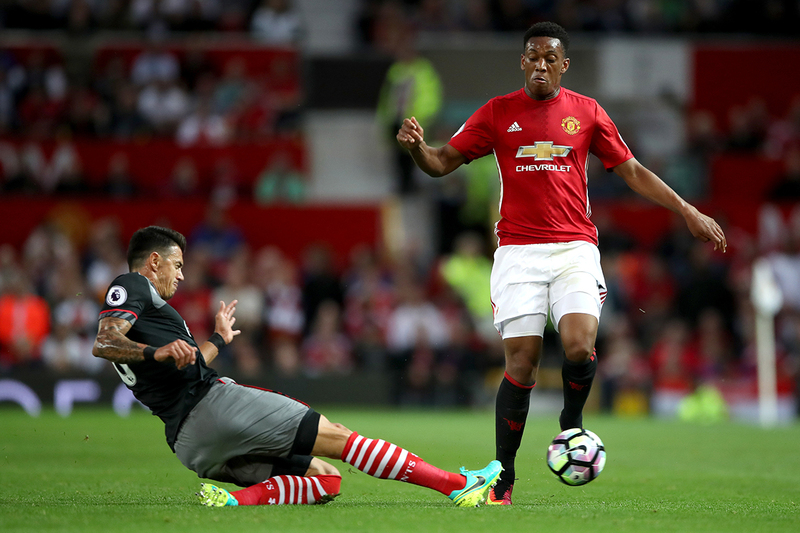 He dives in less than Bailly, with 1.5 tackles per game last term. However, with 1.5 interceptions and 3.2 clearances, he stacks up very well against the players United already have, and at 23 years old, he has the space to get even better with the right guidance. Regardless of how well he has played at right-back, it will never take away from the fact that Antonio Valencia is not a natural defender. 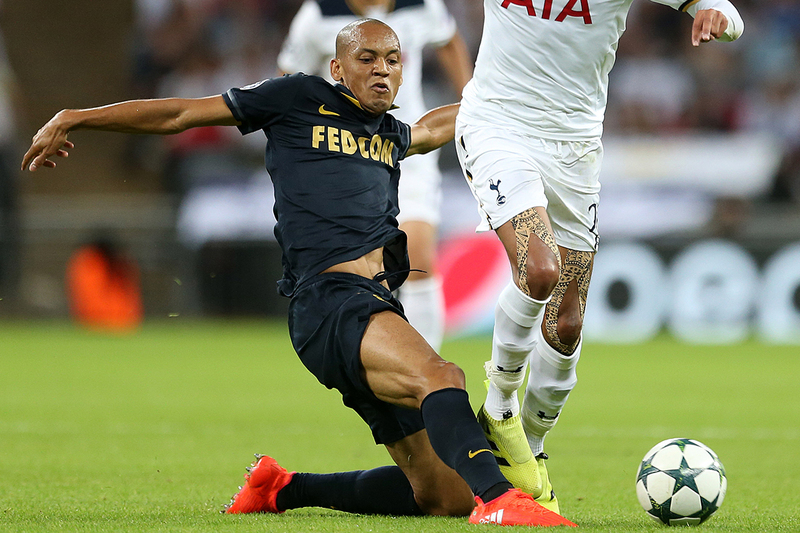 If versatility is what you want, then AS Monaco’s Fabinho is the perfect January signing. Initially, he joined the Monegasque club as a right-back and was superb, scoring six times and adding four assists during the 2015/16 campaign. He averaged 3.2 tackles per game, made 2.2 interceptions and 2.5 clearances. Fabinho is the epitome of your all-round player. Able to rampage forward and excellent defensively. There was no surprise that he was linked with both United and Manchester City in the summer. It was during that season that he transitioned into a central midfielder, playing superbly as Monaco knocked Arsenal out of the Champions League. This summer, the Ligue 1 side signed Djibril Sidibe to play right-back and Fabinho’s move to the centre was made permanent. Not upset by his new role, he told L’Equipe that he enjoyed the position, but it wasn’t his first choice. This season, playing beside Tiemoué Bakayoko in Monaco’s 4-4-2, Fabinho has average 3.7 tackles per game, that’s more than Ander Herrera. While he’s also found a way to chip in with four goals, including a stunner against Lille OSC. In contract until 2021, if United were to make a move, they would be signing a top class midfielder and a potential world-class right-back. Signing a midfielder may seem like a bizarre move for United, especially with the number of players they already have in that position, however, as Mourinho tries to find the magic formula to get the best out of Paul Pogba, someone new in that area could unlock his ability. Geoffrey Kondogbia is the ideal man for that role, as we recently discussed in more detail. He played that role for France in the 2013 Under-20 World Cup, helping Pogba catch the headlines then. He is currently unhappy at Inter Milan and the former AS Monaco man can be whatever United need him to be. Playing as the deepest lying midfielder, the 23-year-old is excellent, but he has the drive and ability to push forward into attack. With the Italian side looking to recoup some of the €40 million they have spent on the Frenchman, United would be wise to make a move this January. Scouting a young, exciting winger from Sporting in Portugal is not a new move from the Manchester club, but in Gelson Martins they have the potential to sign another starlet that is hopefully more Cristiano Ronaldo than Nani. A little pocket rocket of speed, skill and dazzling footwork. With two goals and four assists to his name this season, he seems to have all the attributes you would look for in a winger. Martins is very right-footed, but he is very strong, adept at holding off larger defenders, but with the pace to edge his way into space. He’s dispossessed 2.5 times a game this season, similar to Anthony Martial’s return last season, but you don’t mind that from a young player still finding his way. Even in the Champions League, especially against Dortmund, he showed great awareness. Anticipating how the play would develop, he’s ready to play off the shoulder of the last defender and spin in behind. Averaging 0.6 successful crosses and 1.6 key passes per game, compared to Jesse Lingard’s 2.4 key passes and 0.4 crosses, you would want more final product from Martins, however, there is plenty of time for that side of his game to mature. The 21-year-old would certainly be a luxury signing by Mourinho, but it’s one, similar to Ronaldo’s arrival in 2003, he is the type of player you would pay to watch and someone to get Old Trafford rocking once again. Click here to view latest Man United transfer rumours.